Over the past few months, the delivery of newsletters and content on NickerNews and BestHorsePractices has gone from a steady flow to a steady, um, trickle. But slacking off ain’t the cause. Aside from the big move to Utah and a new blog, I’ve been working on a book. 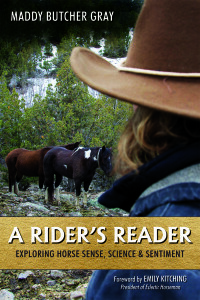 A Rider’s Reader: Exploring Horse Sense, Science & Sentiment should hit the proverbial bookshelves by June. It highlights journeys with horses, profiles of renowned horseman and women, equine research, and editorials. Emily Kitching, president of Eclectic Horseman, generously wrote the foreword. I’m grateful to Gary Lawless of the Gulf of Maine Books, Cindy Meehl of Cedar Creek Productions, and Meris Bickford CEO of Maine State Society for the Protection of Animals, for their critical reviews of the manuscript. Here is a cover shot, taken by Shepherd Waldenberger, a talented, young photographer currently working in Jackson Hole, WY. Stay tuned for more details. And, as always, thank you very much for your support. 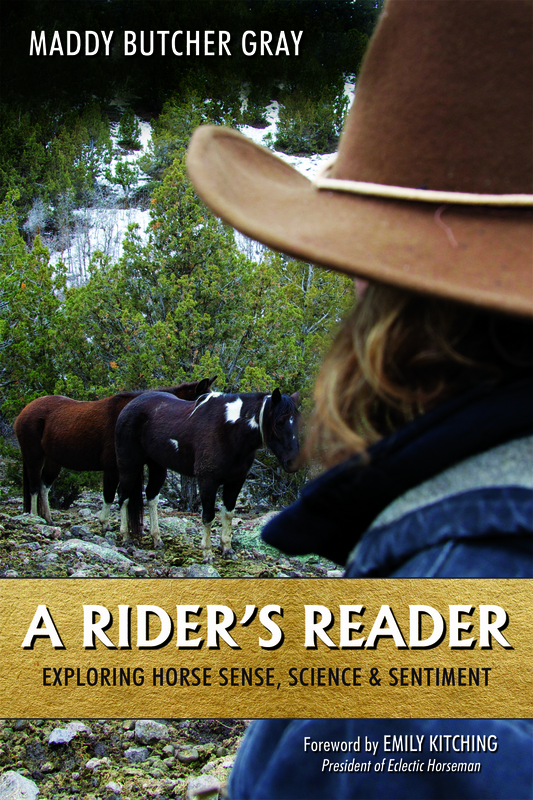 Read more about A Rider’s Reader progress and process. 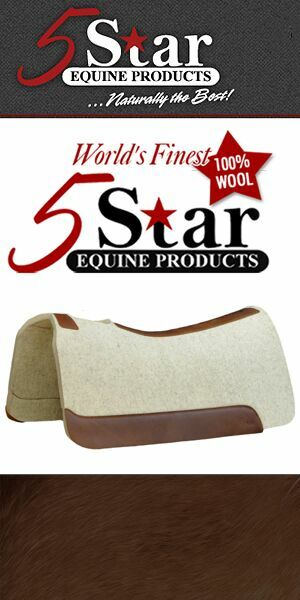 Posted in Books, General, Reviews and Links and tagged A Rider's Reader, Horse science, Horse sense, Horse sentiment, Maddy Butcher Gray, new horse book. Congratulations! That’s great news, like expecting a baby! So excited for you, and wishing you much success!!! Thanks, Mary Ellen. Yes, a bit like expecting but the burps, farts, and sleepless nights come before the delivery. Maddy! This is great news!! I will look forward to hearing more about it. I can’t wait to get my hands on this book. I’msure it will be a pure joy to read. Keep me posted so I know when it’s available and where to buy a copy! Congrats! That is so awesome you wrote a book!! Good for you..I can’t wait to order it.